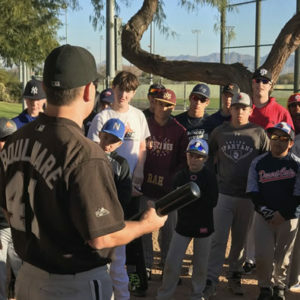 Join us in Arizona this summer for baseball camp around Phoenix. America's Baseball Camps is proud to announce an outstanding opportunity for any baseball player wanting to make a commitment toward the next level of the game. Come work with an outstanding group of instructors striving to advance your knowledge and skill in the art of hitting. 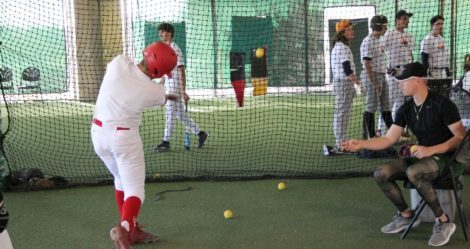 Our staff of former and current professional players, coaches and scouts are extremely experienced and have one common goal: to provide you with the tools necessary to produce a more effective and efficient swing. 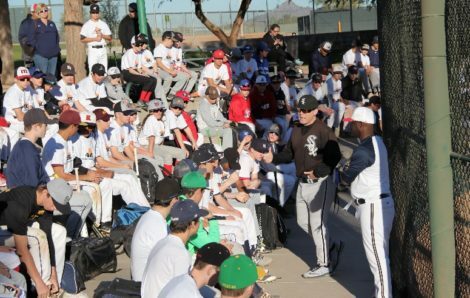 Players should bring Baseball Pants or Athletic Clothing, Baseball Bat, Batting gloves, Baseball cap, Baseball glove, Helmet, Water Bottle and any additional items that you feel necessary to compete with. All Campers should check in at the main baseball diamond at John Paul II High School by 1:30pm on the morning of June 24th.